The miniaturization of accelerometers has opened up a new world of reactive consumer electronics. Modern accelerometers are available in all-in-one microscopic silicon chips that sense motion along an axis. 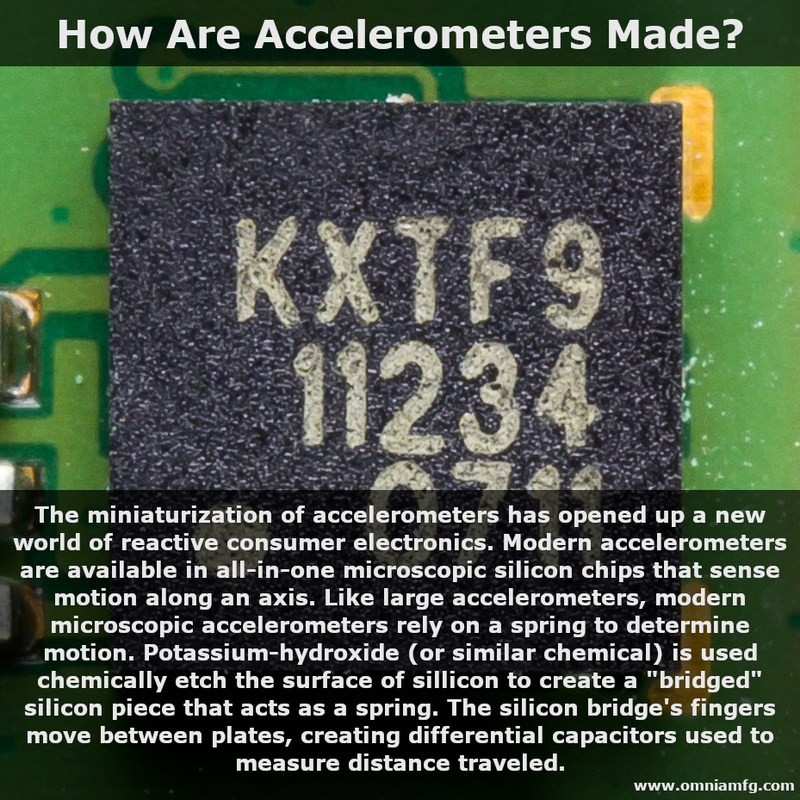 Like large accelerometers, modern microscopic accelerometers rely on a spring to determine motion. Potassium-hydroxide (or similar chemical) is used to chemically etch the surface of silicon to create a “bridged” silicon piece that acts as a spring. The silicon bridge’s fingers move between plates, creating differential capacitors used to measure distance traveled. How Things Work: How Does A MEMS Gyroscope Work?